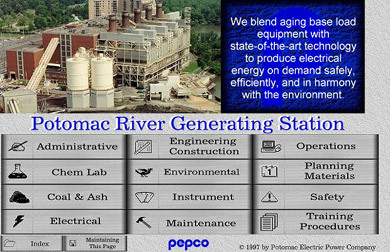 I created this Lotus Notes website for PEPCO in the second summer of my $5/hr "computer science" internship. 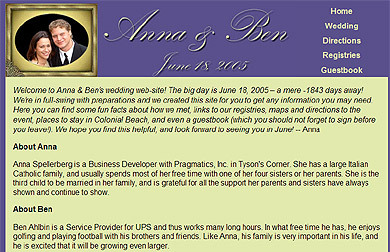 The graphics were excreted from an early version of Paint Shop Pro, and the effort took roughly eight hours of development, spread over twelve weeks of service, in which I also sorted mail, computed fly-ash tickets, and chatted on the Webchat Broadcasting System. It was abandoned after I left, because all of the actual site content existed in a set of four-inch binders on a shelf, and no one wanted to scan or retype them. 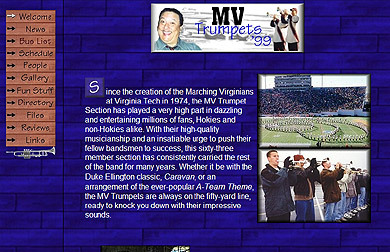 I wrote and ran the MV Trumpets website for 3 of my 5 years in band. If I recall correctly, there was drama and a coup following Bob Bowman's edition of the website, whose text sounded like it had been written by a high schooler. While getting this screenshot, I also discovered this sound clip (280KB MP3) of the MVs performing "Carry On Wayward Son" sometime in 1997. When I was teaching MUT 1241: Ear Training For The Semester Behind, Florida State had a big push for Blackboard as an online teaching resource. 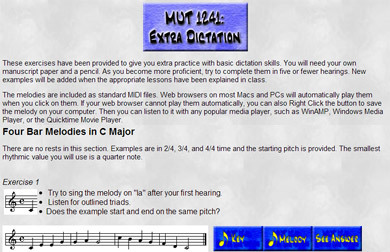 I never cared for it, and ended up creating my own class website, complete with exercises, grades, and musical samples. 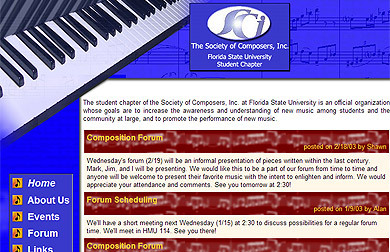 The Department School OLIGARCHY OF MUSIC at FSU finally created a chapter of the Society of Composers when I was there, which had very little global effect, other than to get me quoted in a about the demise of some CD company that I probably never purchased from in the first place. The fact that there are two conflicting colour schemes on this website stems from the fact that Mark Connor thought that some FSU colours should be prominently featured, while I thought the FSU colours were too riled up for a professional-looking website. Check out this BRAND NEW WEBSITE I made when Ella was born! 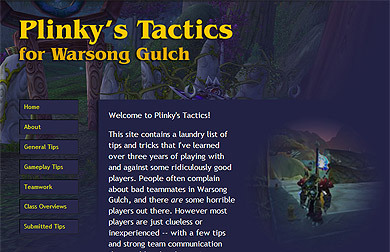 Technically, this site is still alive, but I'm including it because I haven't maintained it since I cancelled my WoW account, and the only visitors I get these days are people trying to cheat, looking for flag-grabbing macros. 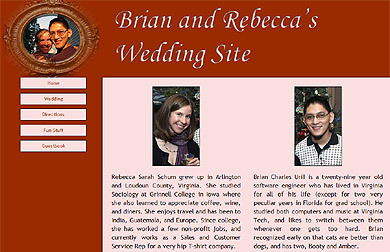 I may have reused the Warcraft template for this website. Thankfully, there were no orcs at the wedding.